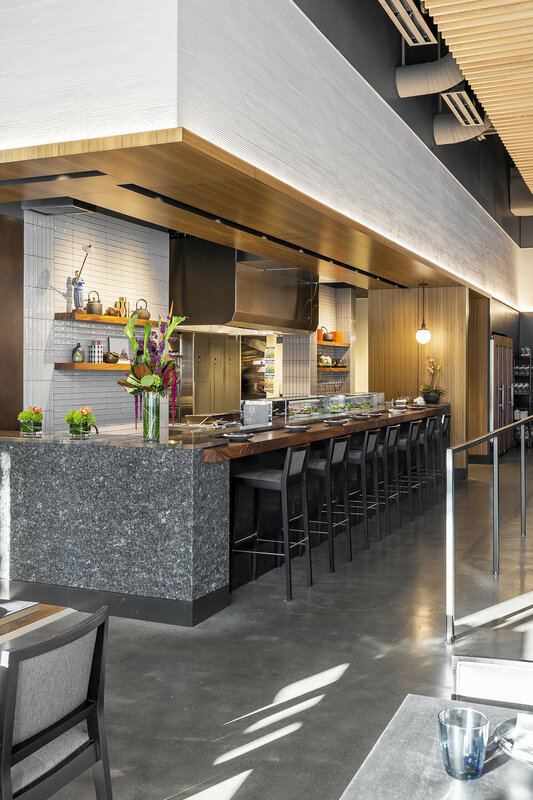 Wild Ginger’s new Denny Triangle location builds upon the look and feel that SkB Architects developed for the recently completed Wild Ginger at Lincoln Square in Bellevue, Washington. The design captures an aesthetic that merges Asian-inspired cultural influences with contemporary design to create an elegant, yet casually sophisticated setting for the celebration of food and friends. At roughly 4,600-square-feet, the Denny Triangle location will seat 140 in a mix of formal dining, exhibition dining, and bar seating. 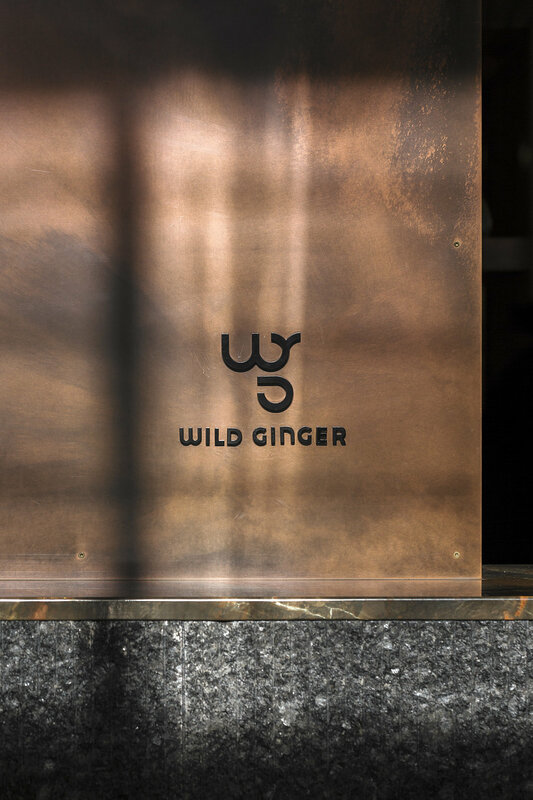 The restaurant will be the third full-service Wild Ginger, which first opened in downtown Seattle in 1989. For Denny Triangle, the design continues the evolution of the rest­aurant’s brand, taking advantage of the large volume to capture an aesthetic that’s spare and natural yet rich and sophisticated. Wood slats, turned on edge, float above the bar area to define an area within the restaurant and its twenty-foot-high voluminous ceilings. 80 hand-made globe lights from Bocci are suspended above the central bar on custom steel armature that hangs from the twenty-foot-high high ceiling above. This strong spatial element helps define the space and reduce the sense of volume, while at the same time catching the eye from both inside and outside the restaurant. The dining experience is heightened further by the direct connection to the kitchen, which allows energy from the kitchen to permeate the bar area and vice versa.